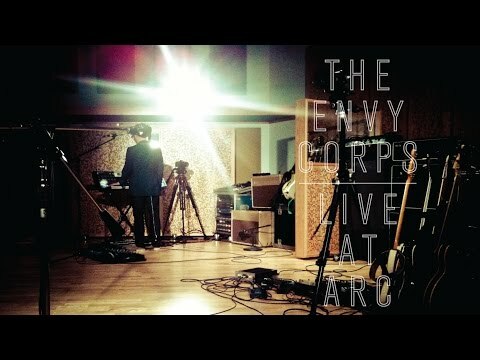 From their early days shouting out indie dance anthems over sublime guitar hooks in songs like Rhinemaidens and Story Problem, to the darker grooves and electronic textures that underly later efforts like Make it Stop and CMD + Q, The Envy Corps have always maintained an enduring commitment to their own musical evolution. Emerging in the mid-2000s as a staple of the Des Moines music scene with their album Soviet Reunion, they underwent several lineup changes and were gobbled up by British imprint Vertigo in 2006, where they released their label debut, Dwell. After guitarist Brandon Darner’s life threatening stroke at a London gig cut touring short, the band returned home to regroup, releasing the EP Kid Gloves in 2009 and their follow-up album, the moodier 2011’s It Culls You on their own imprint, Tempo Club. Following their gig at 2015’s Hinterland festival, the band went on loose hiatus while still collaborating on productions for other artists including Keuning (Dave Keuningof The Killers), Ancient Posse and Trevor Sensor. 2018 found the band reuniting and immediately hitting the studio, with the first fruits of the sessions, single “Weather Baby”, released on March 26, 2019.